Honey bees are threatened by an increasing number of environmental problems and pests, such as the tiny parasitic varroa mite clinging to the neck of this bee. CLEMSON, S.C. – Apiarists from across the Palmetto State will make a beeline to Clemson University this month for all the buzz in beekeeping. The South Carolina Beekeepers Association holds its summer beekeeping conference at the Hendrix Student Center July 25-27, offering training and information on methods to improve production and fight common diseases and pests. The three-day meeting blends information for newcomers to the business with programs targeted to more experienced beekeepers, said Mike Hood, a Clemson emeritus professor of entomology. The S.C. Master Beekeeper program, jointly sponsored by Clemson Extension and the beekeepers association, began in 1996. With four levels of certification, the program tests a beekeeper’s knowledge and skills. Hood estimates that about 3,000 beekeepers, the majority of them part time, manage roughly 25,000 to 30,000 honey bee colonies in South Carolina. The craft of beekeeping stretches back more than 4,000 years, but recent history has been hard on both the bees and their keepers. 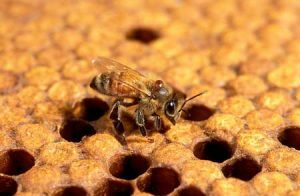 Pesticides, diseases and other insect pests — notably the devastating varroa mite — have taken their toll on the honey bee. A surge in the number of disappearances of Western honeybee colonies drew the official name of “colony collapse disorder” in 2006. Lectures during the three-day conference address many of those subjects, as well as regulatory issues and equipment for small-scale and beginning beekeepers. Competitions to judge honey and blocks of beeswax also are on the program. Twenty local associations around the state comprise the South Carolina Beekeepers Association. Registration for the conference begins at noon Thursday, July 25. Non-members can pay a $35 fee at the door covering the entire conference.